It will kill your patience if you have to copy or archive techpacks one-by-one. The best way to move more than one techpack will be with multiple selections. 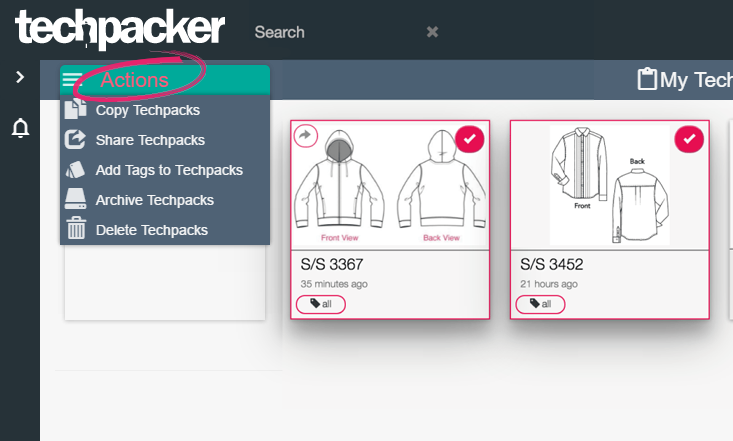 The image below shows the process of selecting multiple techpacks and adding tags/keywords. Keywords are like hashtags; they're used to organize and help search for particular techpacks or cards. 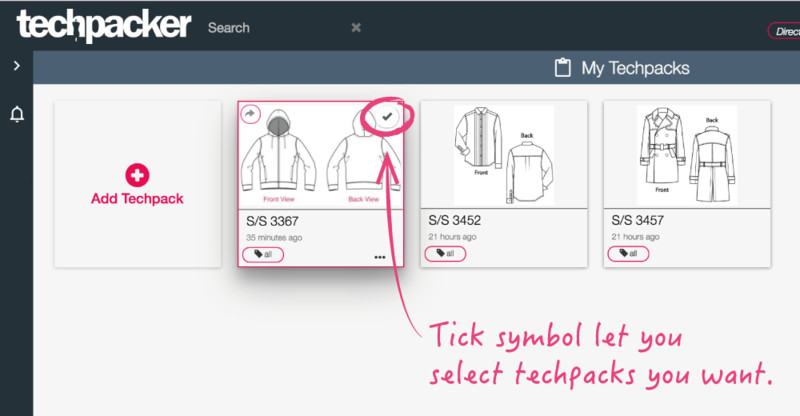 When you point to a techpack, a tick will appear at the top right-hand corner (see image below). Click on it and it will turn pink when the techpack is successfully selected (see image below). Click the tick for all techpacks on the dashboard you wish to take the same action on. 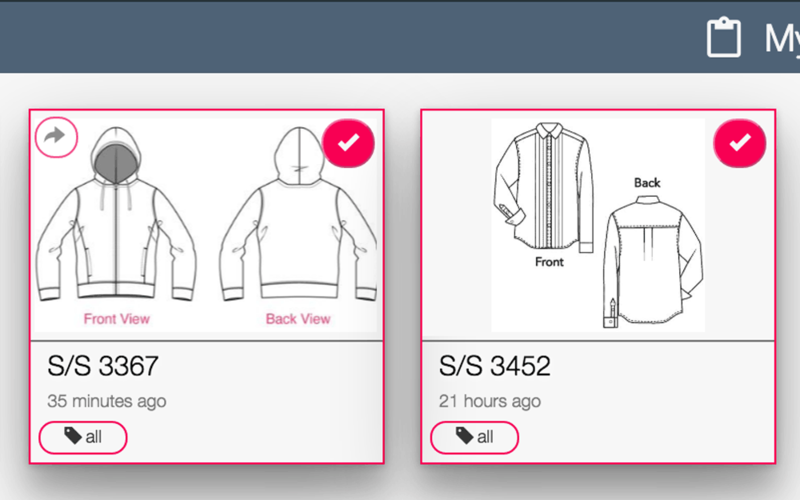 All selected techpacks will become highlighted with a pink tick symbol. Now you can now choose your desired action for all (see image below). Meanwhile, an "Actions" button will appear on the right-hand side of the top sub-menu. Click on it and a drop-down menu will display options including Copy, Share, Add Tags, Archive, and Delete. Done! Now rinse and repeat those steps to make another different multi-techpack action.